Last week GN solids control shipped nearly 10 units of linear motion shale shaker and one container of shaker screens to middle east. This is not a new client, he ever bought our shaker screens before and he is satisfied with the quality, performance and price, he understand that shaker screens production is with very complicated technology compared with shale shaker, if you can produce shaker screens very well, then you can also produce shale shaker well. Before we produce the replacement shaker screens for world famous brand shaker, now we produce shaker screens for both other brand shale shaker and our own shale shaker. 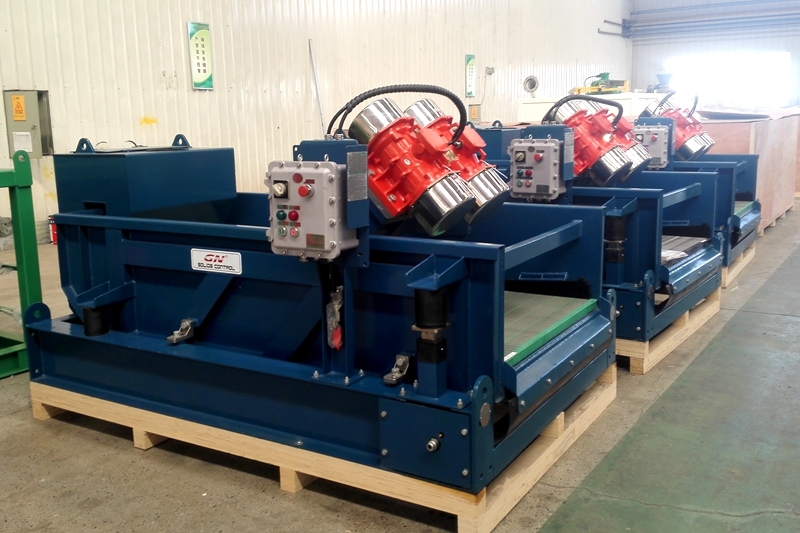 The shale shakers we shipped is 4-panel shale shaker which is the best sold model last year for oil & gas drilling industry, this model shaker can be also used as high G drying shaker for drilling waste management system by replacing the buffer box. 5 composite material frame shaker screen with bigger effective screen area, better treating efficiency, 3 layers wire mesh for longer working life, can be stocked until 5 years. 6 Heat treatment before painting, GN adopt our own sand blasting machine and automatic powder painting line for better anti-corrosion. Welcome to visit our warehouse to check our shale shaker and shaker screens.